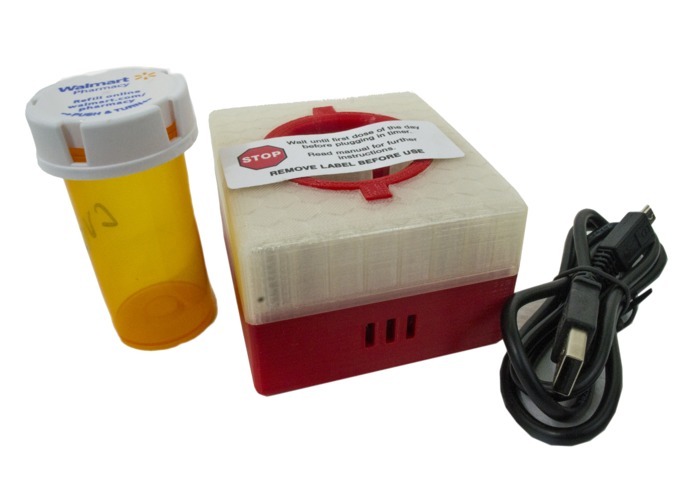 Making every medication container SMART with dosing notifications and tracking their use in realtime! Initial interest in building the Miracle began when one of our team members lost a family member due to medication mismanagement. Upon further research, we learned from a report published by IMS Health, that states that avoidable costs of more than $200 billion are incurred each year by the U.S. healthcare system as a result of medicine misuse; this cost swells to $500 billion incurred by the global healthcare system. Solving medicine adherence not only presents a massive market opportunity but could save millions of lives in the process. 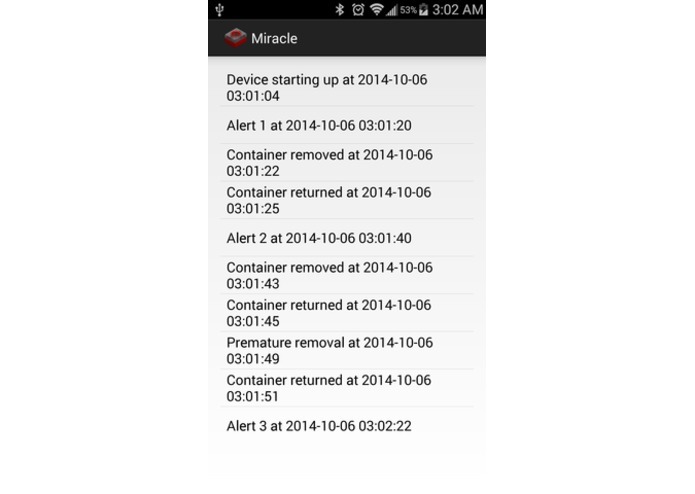 Miracle alerts users to when it is time to take medication and logs that all interactions with that medication. Safe and simple tools are the cornerstone, of responsible medicine usage. No one wants to deal with setting timers and schedules but most consumers wants to live healthy lives. Therefore, effortless notification and automatic logging of medicines usage are keys to adaptability and sustainability. To achieve this goal, we eliminated the timer display feature common in current products on the market thereby removing the barrier of unnecessary steps and the intimidating management of those displays while improving safety. Miracle ensures safety by adding the amount of time you are late to your next dosing time automatically thereby eliminating skipped doses and the potential to accidentally overdose. This flexibility is also much friendlier to the consumer and in line with normal human habits. Miracle was initial created using an Arduino. Upon further refinement, the we were able to build a small board with the same logic housed inside 3-D printed moldings. The accompanying android app records interactions via bluetooth and syncs that data to the cloud. This opens the door to share usage data with virtual any company or medical institution. 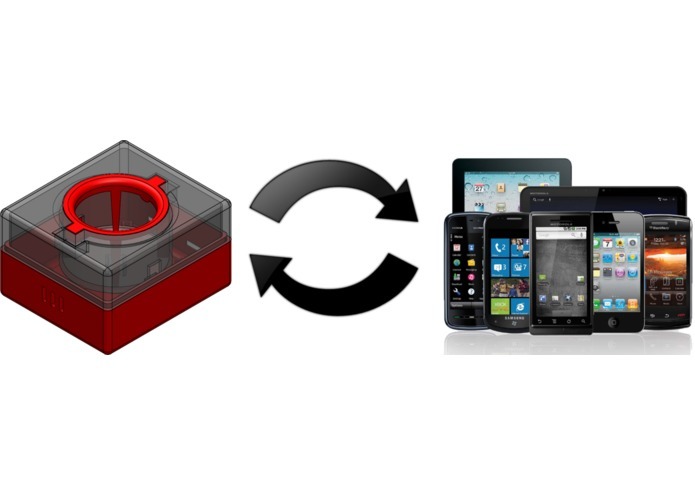 Right now we're looking to manufacture our device and refine out app. We're certain that Athena Health will get us there!